One thing led to another. 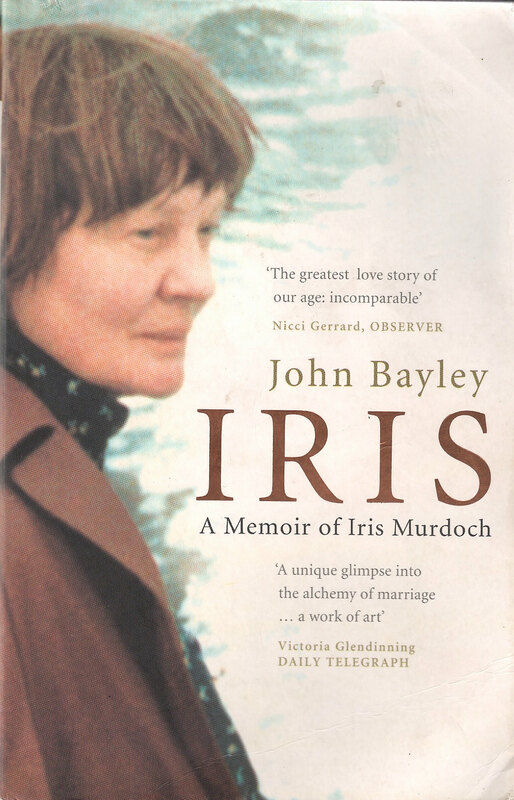 I was driving towards the North Kent Marshes and an appointment with Farrow and Ball, as I drove I was half-listening to the audio book of “Iris“, the recollections of Iris Murdoch by her husband John Bayley. Farrow and Ball wanted to do some publicity shots of their paint range at our tumble-down shack, I had hoped that they might paint it, but it turned out that I was just the first location in a week of photo-shoots. They wanted to shoot outdoors and it rained of course. Photographer James Merrell and the team soldiered on. “I think the rain adds something, makes it more real, more British,” said Charlie the Creative Manager bravely, while we held umbrellas over James. 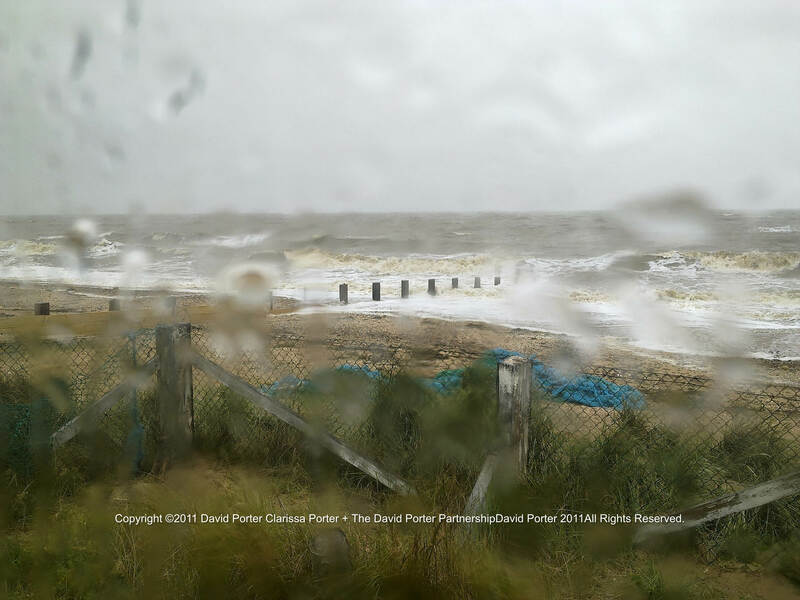 No time to wait and see if the weather cleared, they had to get to West Sussex that afternoon for another shoot. “And tomorrow we’re in Deptford,” said the stylist. Just try and stop me I thought. The next day the sun shone after a dismal start and I wandered down to the river and the Master Shipwright’s House. They were having lunch, and Charlie showed me around a few of the rooms and introduced me to the owner. It is the sort of house I could easily live in, huge rooms, distressed walls and bare floorboards. I’ve glimpsed it from the street when the gates are open, I’ve seen it from the other side of the river, but nothing really prepares you for the shiver of history when you’re actually walking around inside it. Recently I’ve become more and more interested in Deptford’s lost dockyards, and for a couple of weeks I’ve spent a day wandered around the Pepys Estate and Deptford Green. It’s too late for the Royal Victoria Victualling Yard, mostly buried under the Pepys Estate, but now there are plans afoot to build on the 42 acres of Convoys Wharf, the old King’s Yard founded by Henry VIII in 1513, his first Royal Dockyard. 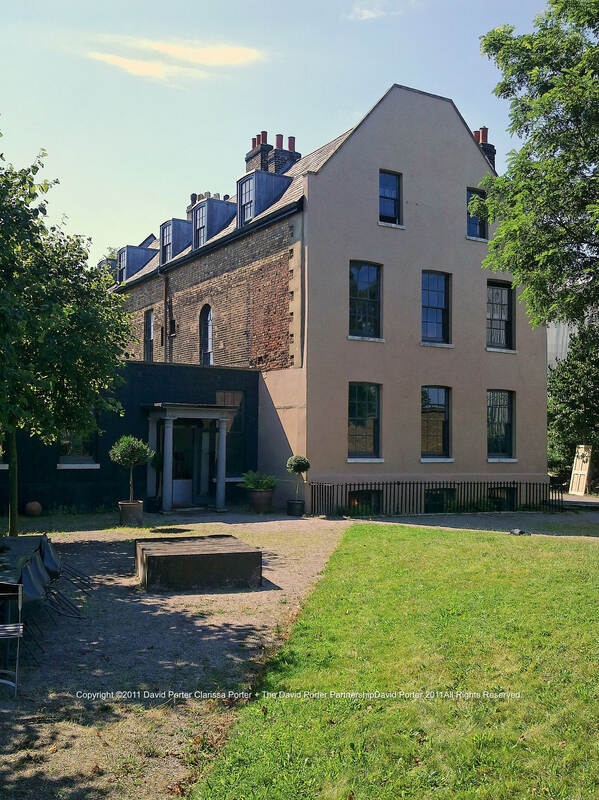 If you’d be interested in learning more about the unsympathetic development proposed for Convoys Wharf I urge you to visit the Deptford Dame, 853, and for a scholarly and passionate defence of Deptford’s heritage, the Shipwrights Palace. Then maybe like me write to Lewisham Council to oppose these plans. Henry’s daughter Elizabeth I was a regular visitor to Deptford, arriving by river and landing at the watergate stairs. 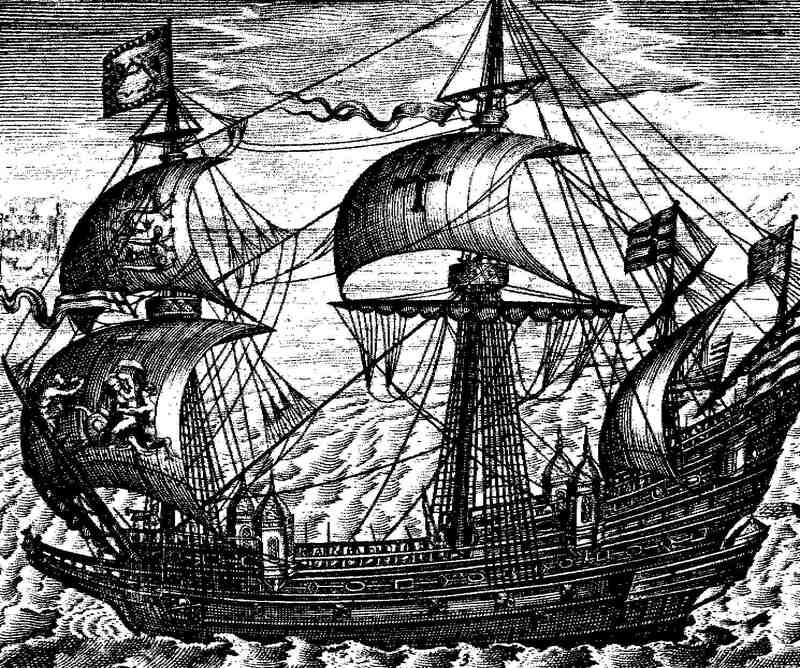 In 1581 she knighted Sir Francis Drake on board his ship and ordered the Golden Hind to be preserved in Deptford as a reminder of the historic achievements of Drake, the first Englishman to circumnavigate the globe. On another occasion in Deptford Sir Walter Raleigh might have thrown down his cloak so Elizabeth could avoid wetting her feet in a puddle on those same stairs, for a while Sir Walter was one of Elizabeth’s favourites. In about 1586 he had a ship built here by Chapman the Master Shipwright, and he named it the Ark Raleigh. Unfortunately by that time he was less in favour and Elizabeth ‘bought’ the ship from him for the Navy renaming it the Ark Royal. In 1588 it was the flagship of Admiral Howard in the attack on the Armada. But one thing leads to another as I said, and at the weekend I went to the Dulwich Picture Gallery for the Twombly and Poussin exhibition. Two painters separated by 350 years that both left their homeland aged about 30 and went to work in Rome. They painted similar subjects in drastically different styles, Twombly was a romantic, and Poussin a classicist. I think Twombly is the greater painter, inspiring and intriguing, beside his electrifying canvases Poussin seems too chocolate-boxey. 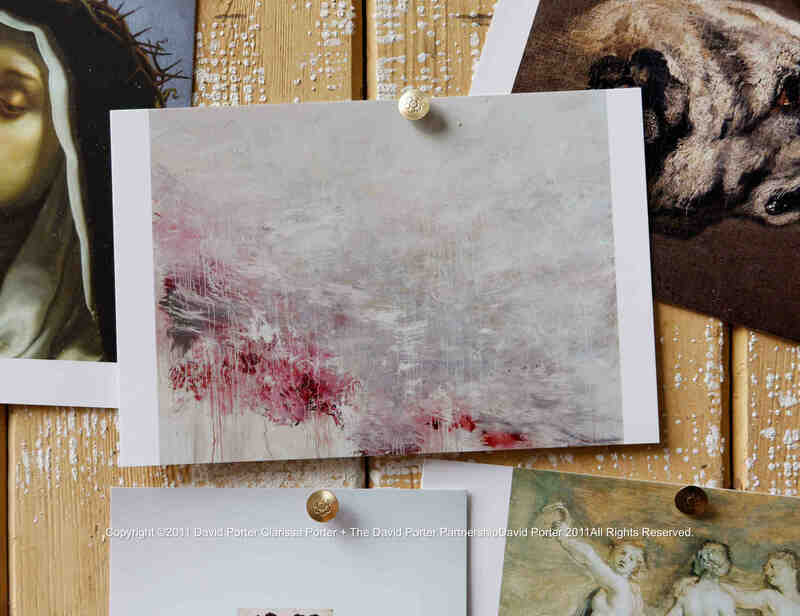 Twombly was a poetry lover and introduced poetry into his paintings sometimes as the subject, and often scribbling in pencil onto his paintings. The painting on the cover of the exhibition catalogue and on the exhibition poster is ‘Hero and Leander‘, a painting about love, death, blood and the sea. Hero and Leander was the poem Christopher Marlowe was working on when he died in Deptford in 1593 after a fight at Eleanor Bull’s house on Deptford Strand. 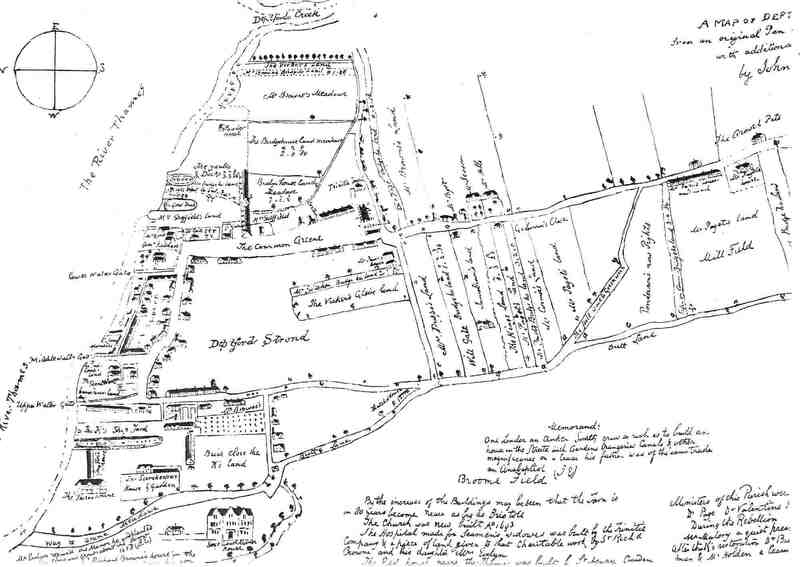 John Evelyn’s map of Deptford and The Strand. For a couple of days I was completely obsessed with Twombly and Marlowe, and the many fantastical theories surrounding the death of Christopher Marlowe. 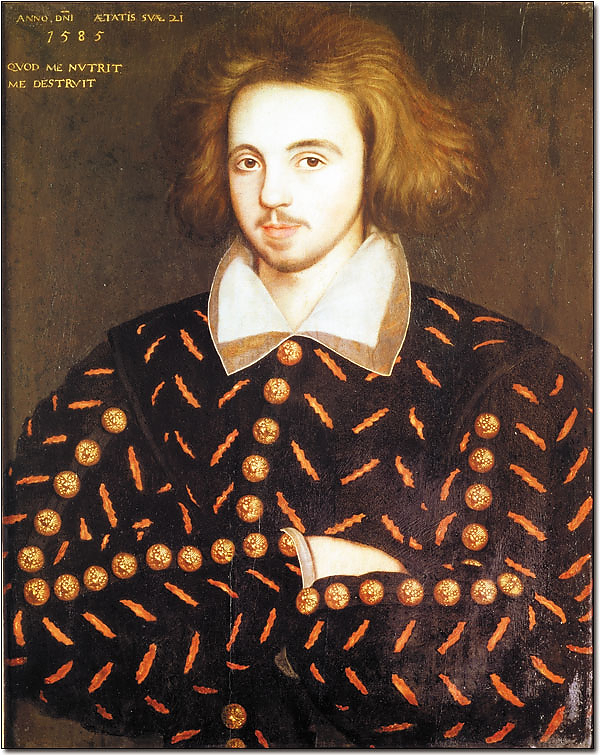 Christopher Marlowe, 1585 aged 21. Corpus Christi College, Cambridge. Was he a spy for Sir Francis Walsingham, Queen Elizabeth’s spymaster in the 1580s? Was he linked to the out-of-favour Earl of Essex? Did he contact Sir Walter Raleigh and express atheistic views, which was as serious as treason in Elizabethan England. 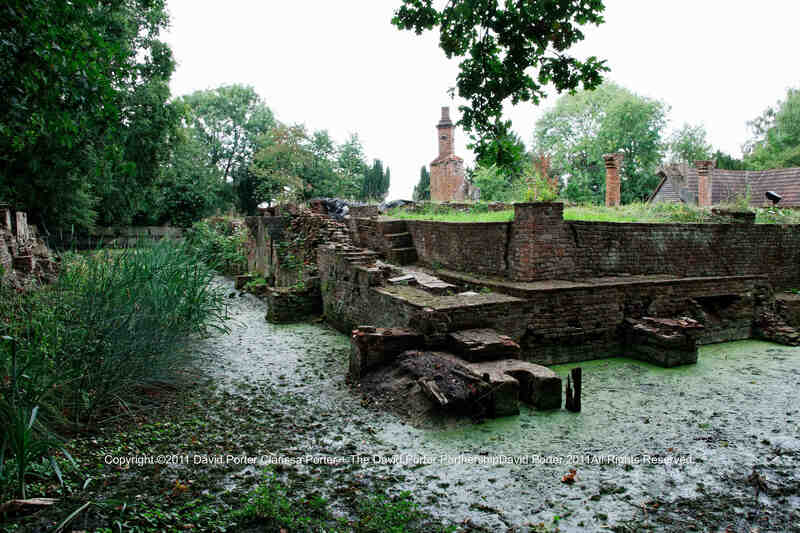 His patron was Walsingham’s cousin, Thomas Walsingham a former courier for the intelligence services, and Marlowe spent his last night alive at Thomas Walsingham’s moated manor house at Scadbury in Chislehurst. As did the man who would kill him Ingram Frizer and two others, all three working for Thomas Walsingham and possibly working in the Elizabethan spy network. Two of them had been involved in exposing the plot by supporters of Mary Queen of Scots to usurp Elizabeth. One of them, Robert Poley, should have been delivering an urgent dispatch to the Queen at Nonsuch, but instead chose to spend the day with Marlowe in Deptford. It seems a fight broke out over the bill, and Marlowe was stabbed to death, and later buried in St Nicholas‘ churchyard. Frizer was pardoned, Mrs Bull it turns out was distantly related to Lord Burghley, Elizabeth’s chief advisor, and she also had contacts with Walsingham’s spy network. Three years after Marlowe’s death, Elizabeth visited Scadbury and knighted Thomas Walsingham… I don’t suppose we’ll ever know exactly what happened and why, but the rumours indicate that there may be more to his death than meets the eye. 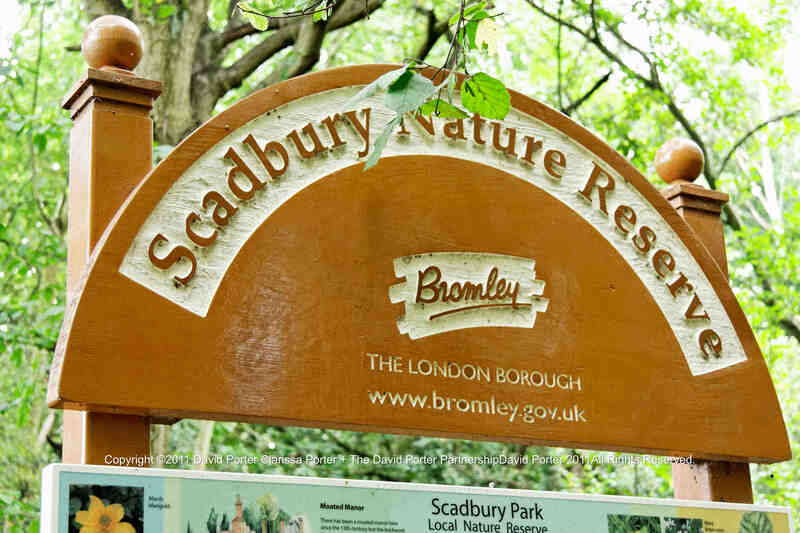 The ruins of Scadbury Manor can still be seen if you’re adventurous enough to search for them at Scadbury Nature Reserve. 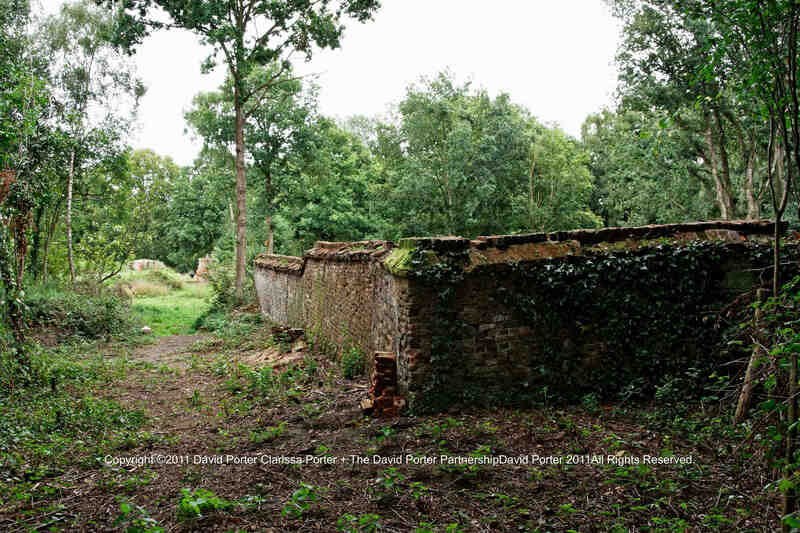 I did of course, braving brambles and barbed wire, first finding a Tudor walled kitchen garden then following that around to the romantic ruins of the old manor house, still surrounded by a moat. Back to the beginning of this rambling story, driving along half- listening to “Iris” I heard a remark about breakfast and Queen Elizabeth, but I didn’t quite catch the context so I had to go and buy the book. That is the sort of annoying throw-away remark by an academic that can never be proved to be true, or not. But I like the idea of Queen Elizabeth breakfasting on bacon and scallops at the Royal Dockyard in Deptford. Most recipes for scallops and bacon would have you wrap the bacon around each scallop and secure with a cocktail stick. That’s a bit too mimsy for me, I’d want a proper dockers’ breakfast, not finger food. I buy my scallops from F.C. Soper in Nunhead, or Shellseekers in Borough Market. 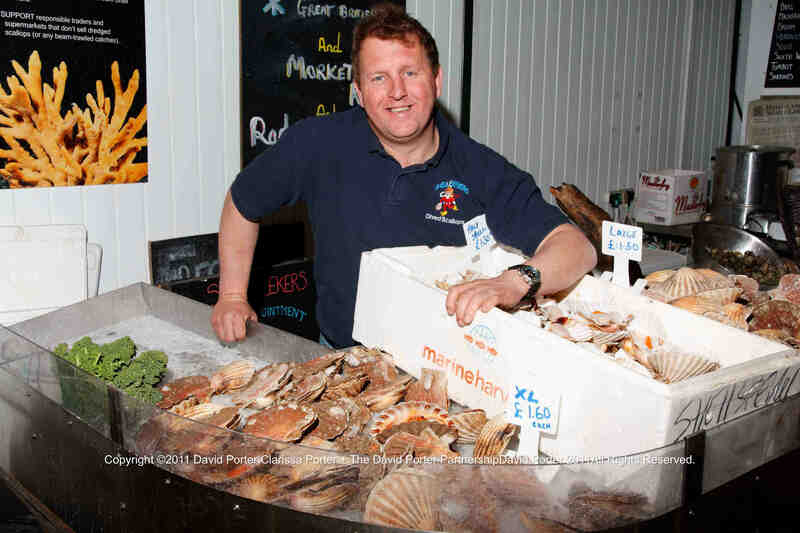 Ex-navy diver Darren Brown runs Shellseekers, if you visit his stall on a Friday or Saturday you’ll find Darren cooking takeaway scallops with bacon. Grill the bacon, or fry if you wish, till the rashers are starting to crisp and curl. Then put them onto kitchen paper to drain. While the bacon is cooking lightly grease a heavy frying pan with a little oil and over a medium heat fry the scallops for about 2 minutes each side. Season with salt and pepper. 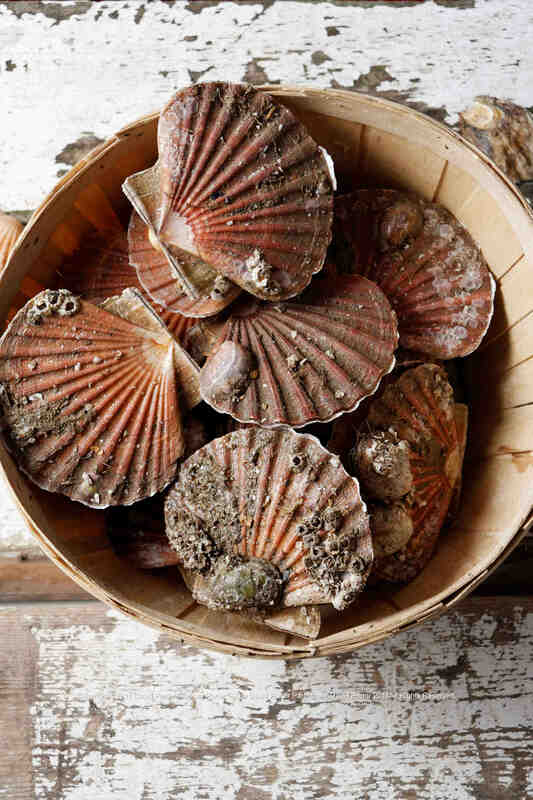 Cook the scallops till they are golden, then remove them to a warm dish. Add the chopped onion and crushed garlic to the pan, increase the heat, and when the onion is translucent pour in the glass of white wine. Stir, and scrape the bottom of the pan to collect the bits of fat and scallop. Keep cooking so the liquid reduces by half, then spoon in the butter and stir a little bit more. 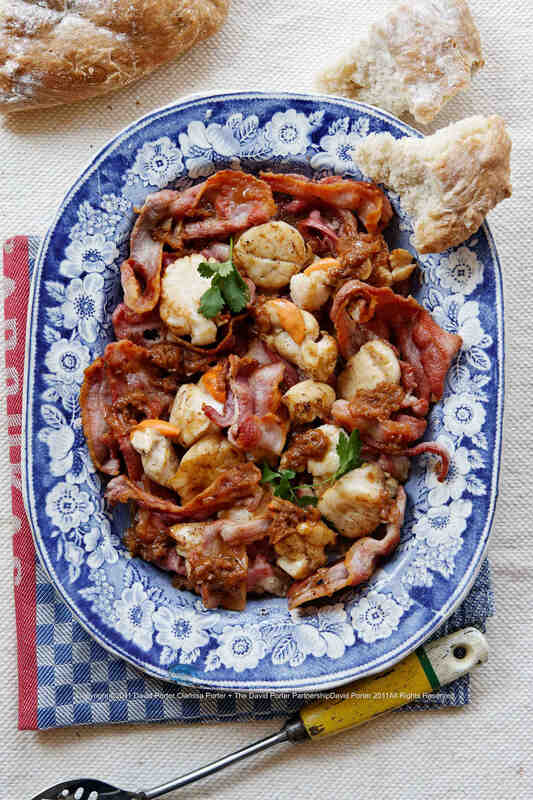 Serve the bacon with the scallops and pour over the juices from the pan. Scatter a few parsley leaves across the dish. Rule Britannia!